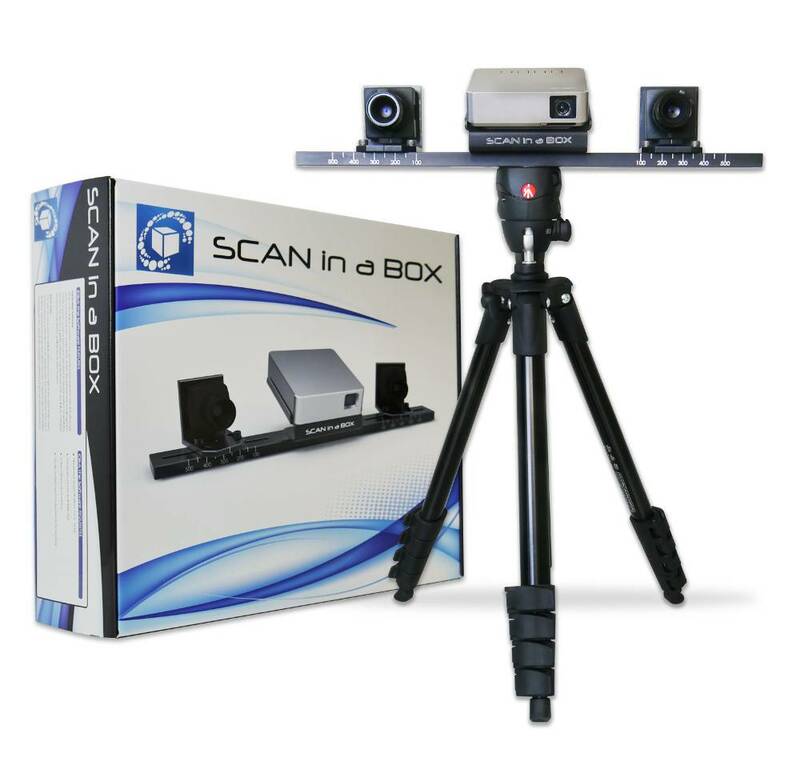 Scan in a Box is the Structured Light 3D Scanner with the highest performance but within everyone's means. 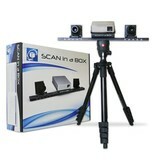 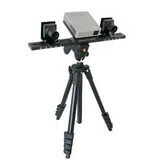 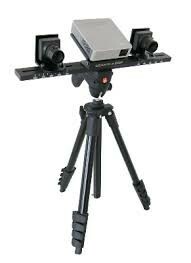 It has a mobile, adaptable structure and a simple configuration, useful to obtain quick high resolution 3d scans. 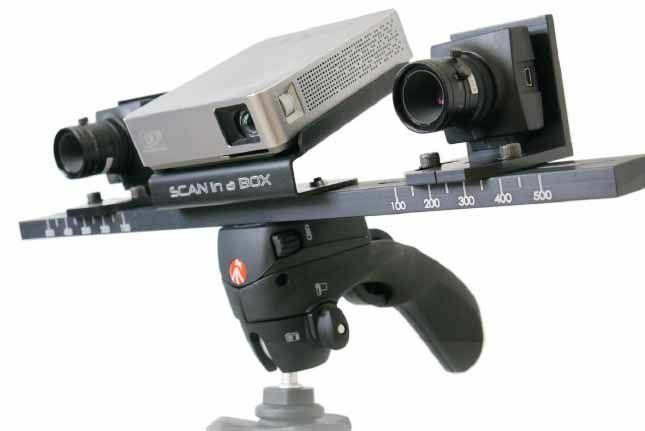 The combination of these scans recreates the chosen 3D model, visible from a 360° view. 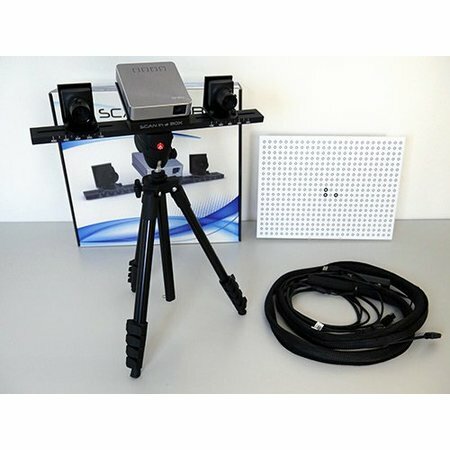 It is the perfect complement of a 3D printer. 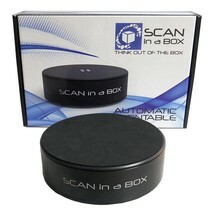 Scan in a Box is a modular and versatile product. 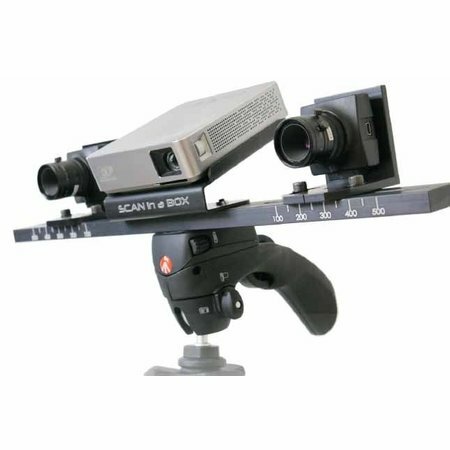 It's composed by an aluminum bar, in which are carved the pre- established positions for the cameras, that holds the three stands: the one in the middle is for the projector and has to be stiffly fixed, the two on the sides are for the cameras, which width can be set to establish the scanning area. 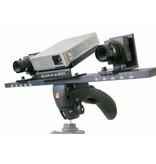 All these components are mounted on a adjustable tripod that has an ergonomic joystick head. 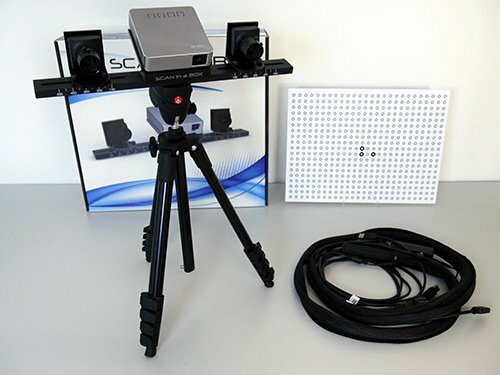 The cable connections are located on the rear of the device and are kept together with a band that comes with the kit. 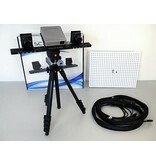 Moreover, are also included all the tools necessary for correctly mounting the device and the instruction manual. The Structured Light is a new- generation technology and replaces the obsolete Laser Scanning. This technique was crated to take full advantage of the hardware: using two high definition professional cameras, in a stereo structure, and choosing the right projector, grant full performances together with better precision and better resolution of the details.